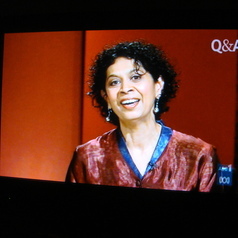 Suvendrini Perera is a John Curtin Distinguished Professor in the School of Media, Culture & Creative Arts, and Deputy Director of the Australia-Asia-Pacific Institute at Curtin University. She completed her BA at the University of Sri Lanka and her PhD at Columbia University, New York. Since coming to Australia she has published widely on issues of race, ethnicity and multiculturalism, refugee topics, critical whiteness studies and Asian-Australian studies. Her recent books include Australia and The Insular Imagination: Beaches, Borders, Boats and Bodies and the anthology, At the Limits of Justice: Women of Colour on Terror (coedited with Sherene Razack). Survival Media, her book on the war in Sri Lanka, was published in January 2016. She is a founder of Researchers Against Pacific Black Sites. She currently receives funding from the Australian Research Council and the Social Sciences and Humanities Research Council of Canada.